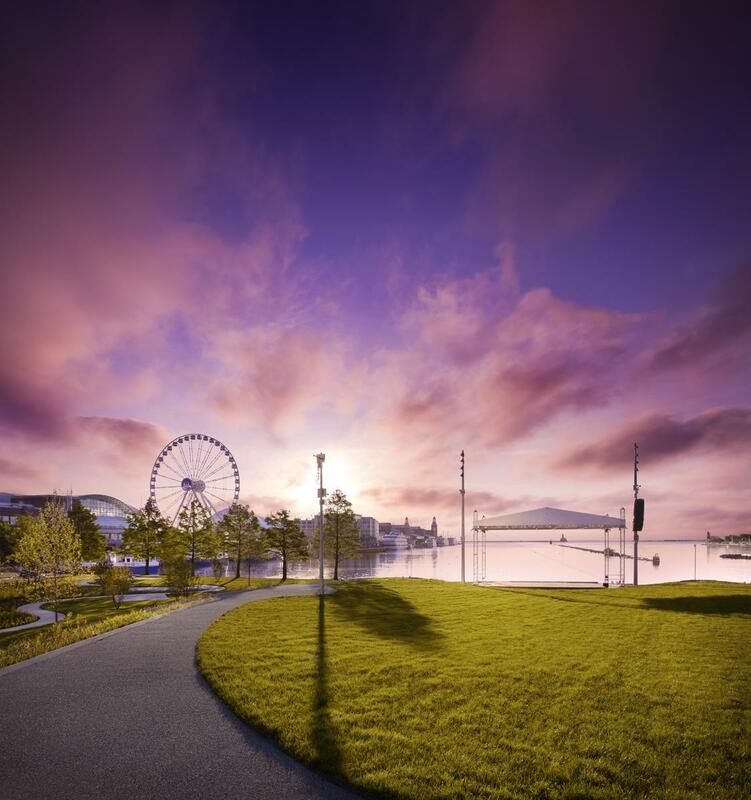 A trip to Navy Pier always promises a day of fun; but this summer, Chicago&apos;s No.1 tourist attraction ups the ante with a brand-new, 13-acre green outdoor space that&apos;s packed with amazing (and free!) programming. Polk Bros Park will now serve as the Pier’s gateway and the city’s unofficial front yard. Two performance and picnic-friendly lawns, located at the south end of the park, will offer free arts and cultural programming throughout the summer and beyond. 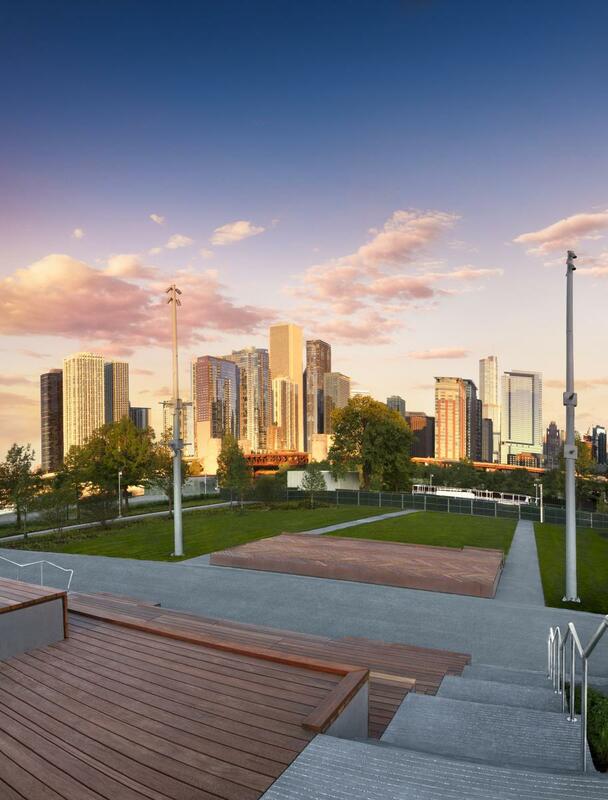 Set between the Chicago skyline and the lakefront, this new park promises an incredible, open-air ambiance for festivities and fun. The two lawns feature two new stages–City Stage and Lake Stage–equipped with state-of-the-art sound and lighting that will welcome music, dance, theater, cinema, public art, festivals and more. The Lake Stage, which faces Lake Michigan, will accommodate up to 1,700 guests. The City Stage, which has the iconic skyline for an unbeatable backdrop, features “city steps” seating and accommodates up to 700 guests. Every Monday through August 28, 7 p.m.
Why go to a boring old movie theater this summer when you can enjoy a blockbuster under the stars with lake breezes to boot? Water Flicks, a free, eight-week outdoor film series, presented in partnership with the Chicago International Film Festival, is scheduled for every Monday through August 28. Expect a different water-themed movie each week, starting at 7 p.m. Movies include Overboard (7/17), Moana (7/24), Splash (7/31), Pirate Radio (8/7), Beach Blanket Bingo (8/14), Finding Nemo (8/21) and Jaws (8/28). Free popcorn will be available to guests on a first-come-first-served basis, courtesy of Navy Pier IMAX® at AMC. July 26, 27 and 28, 7 p.m.
Fall in love with summer when the Chicago Shakespeare Theater kicks off its annual Shakespeare in the Parks series with three free performances of the classic play, Romeo and Juliet. The star-crossed lovers will perform each evening at 7 p.m. near the City Stage, with the iconic skyline replacing the fair city of Verona as a scenic backdrop. If you love live jazz, add this fabulous new music series to your Wednesday must-do list: Navy Pier has teamed up with the Chicago Jazz Institute to present Water Colors, a series of 90-minute sets by local jazz musicians on the Lake Stage. Sip cocktails and enjoy the live jazz and the lake breeze; if you&apos;re lucky, you&apos;ll catch a stunning sunset, too. August 13 at 6 p.m. Swing to the salsa beat on August 13, when the Pier joins forces with the Puerto Rican Arts Alliance to host Noche Caribena, a special concert featuring music ensembles from the Latin America and Caribbean diaspora. Performances will begin at 6 p.m.
August 20 at 6 p.m.
Country fans are in for a treat on August 20 as Navy Pier partners with the Old Town School of Folk Music to present Country Skyline, a country music variety show showcasing local country artists. The concert will kick off at 6 p.m. at the Lake Stage. On Tuesday nights, bring your yoga mat, a towel and water to Polk Bros Park for free outdoor yoga in the park, featuring a rotating cast of Chicago’s best yoga instructors. These yoga classes are for the novice through advanced yogis, and are suitable for all ages. See full class schedule here. Top photo courtesy of Heidi Zieger Photography. Other photos courtesy of Navy Pier.